President Obama established My Brother’s Keeper (MBK) in February 2014 to address persistent opportunity gaps facing boys and young men of color and to ensure all youth can reach their full potential. Since launching, a national movement has grown resulting in nearly 250 cities, counties, and Tribal Nations accepting the MBK Community Challenge, scores of new policy initiatives being implemented and an exponential increase in aligned private sector commitments, all helping to reduce barriers and expand opportunity from cradle to career. Today, the My Brother’s Keeper Alliance, along with cross-sector partners, works to accelerate impact in targeted communities, mobilize citizens and resources, and promote what works — all with the goal of encouraging mentorship, reducing youth violence, and improving life outcomes for boys and young men of color. On Monday November 14, 2016, the Boys and Young Men of Color Summit in Detroit provided young men of color with an opportunity to interview with employers, connect to community resources, and participate in career preparation and leadership development training, My Brother's Keeper Alliance partnered with the Campaign for Black Male Achievement, the City of Detroit, the Detroit Regional Chamber, and countless other partners to host this powerful day. My Brother's Keeper Alliance and the Campaign for Black Male Achievement commissioned Strategic Community Partners to focus on community engagement and partnership; youth recruitment with Detroit Public Schools Community District, the Education Achievement Authority, and charter schools thorughout the city; session design, talent management, and execution; creation and management of resume bank experience; and overall project management. The BYMOC Summit engaged over 1,800 boys and young men of color--with over 350 young men walking away with at least one job offer. The summit also engaged 272 volunteers, 298 employers and staff, and 174 community leaders. Strategic Community Partners also designed and managed post-summit engagement opportunities, reaching nearly one year out, and engaging hundreds of summit youth in ongoing experiences and opportunities. 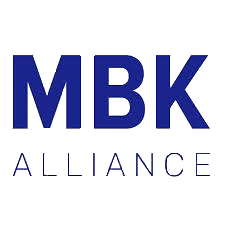 To learn more about the My Brother's Keeper Alliance, click here.